This book examines how it was possible and what it meant for ordinary factory workers to become effective unionists and national political participants by the mid-1930s. We follow Chicago workers as they make choices about whether to attend ethnic benefit society meetings or to go to the movies, whether to shop in local neighborhood stores or patronize the new A & P.
As they made daily decisions like these, they declared their loyalty in ways that would ultimately have political significance. When the depression worsened in the 1930s, workers adopted new ideological perspectives and overcame longstanding divisions among themselves to mount new kinds of collective action. Chicago workers' experiences all converged to make them into New Deal Democrats and CIO unionists. First printed in 1990, Making a New Deal has become an established classic in American history. 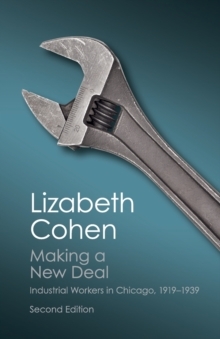 The second edition includes a new preface by Lizabeth Cohen.